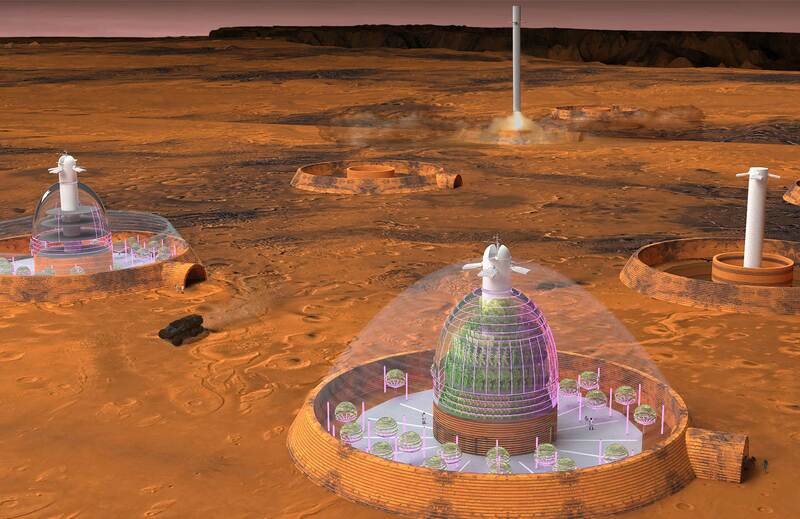 Designs for a competition entry by Mars Colony X in the Mars City Design competition. 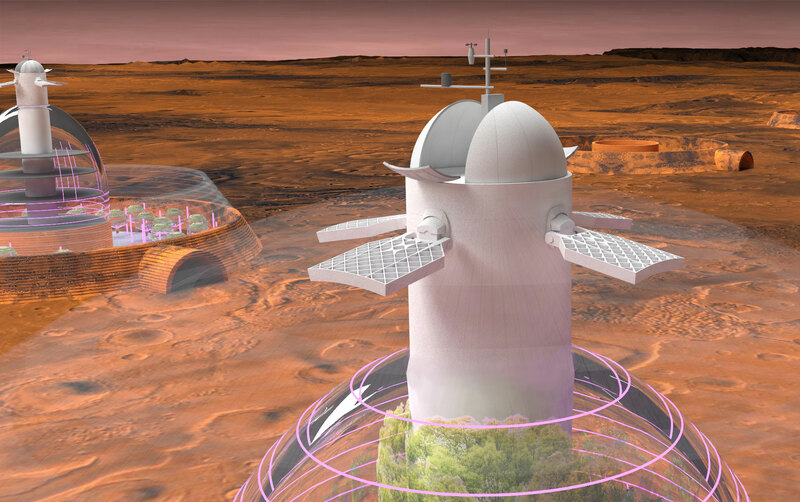 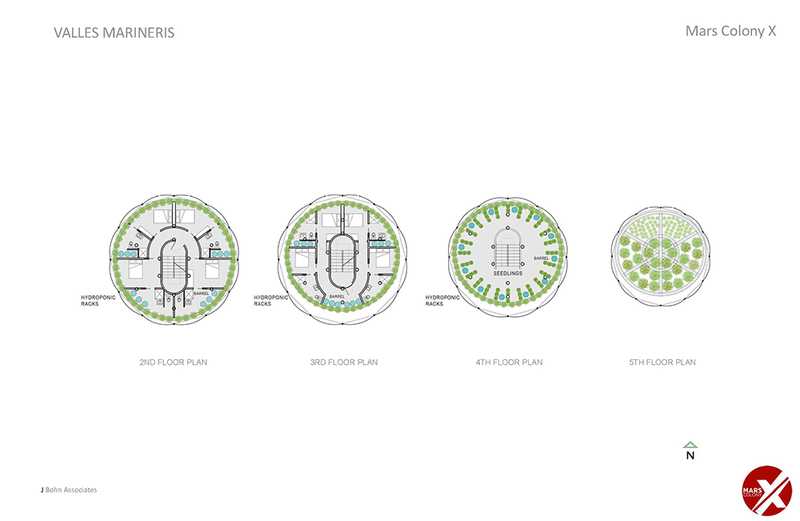 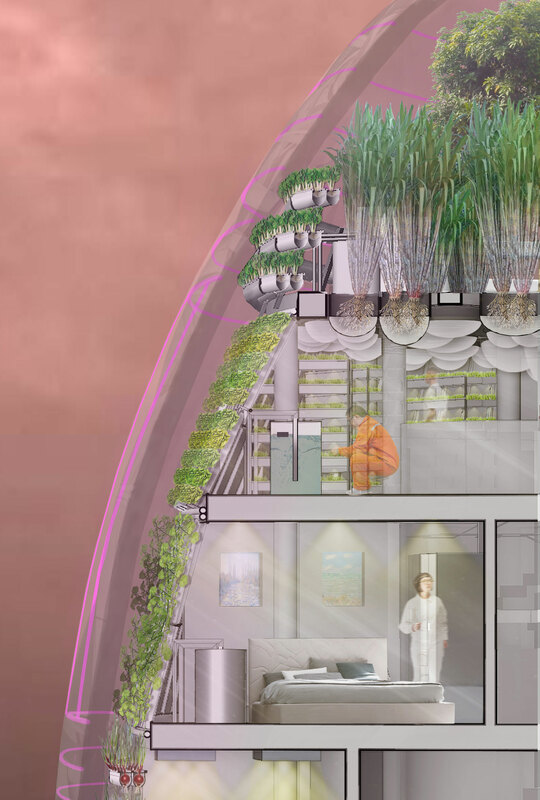 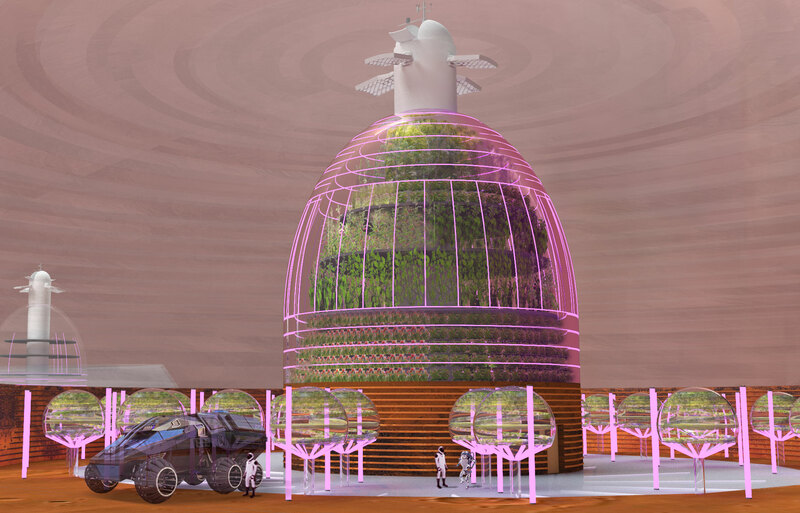 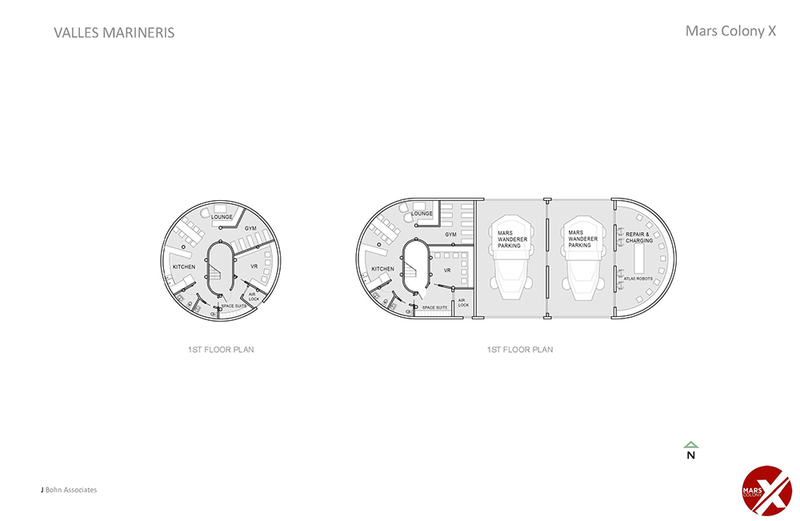 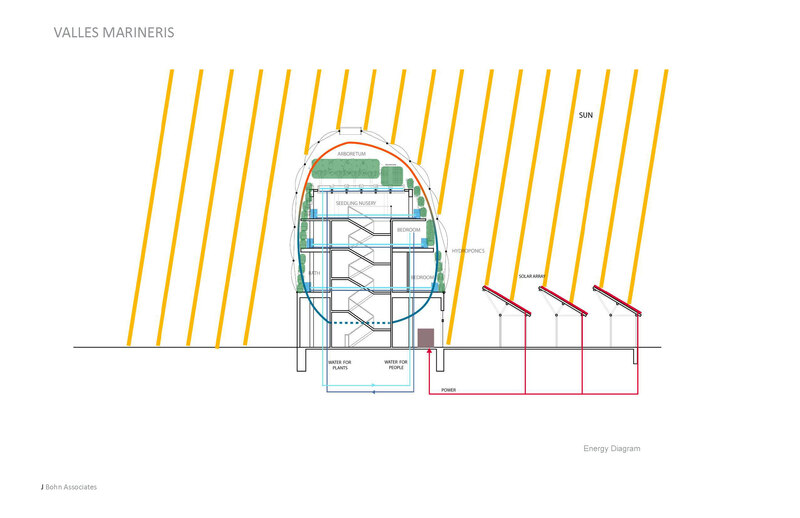 This entry proposed the Extreme Greenhouse Habitat to tackle the challenge of providing safety, security, comfort, clean water, and fresh air in a Mars colony fit for human habitation. 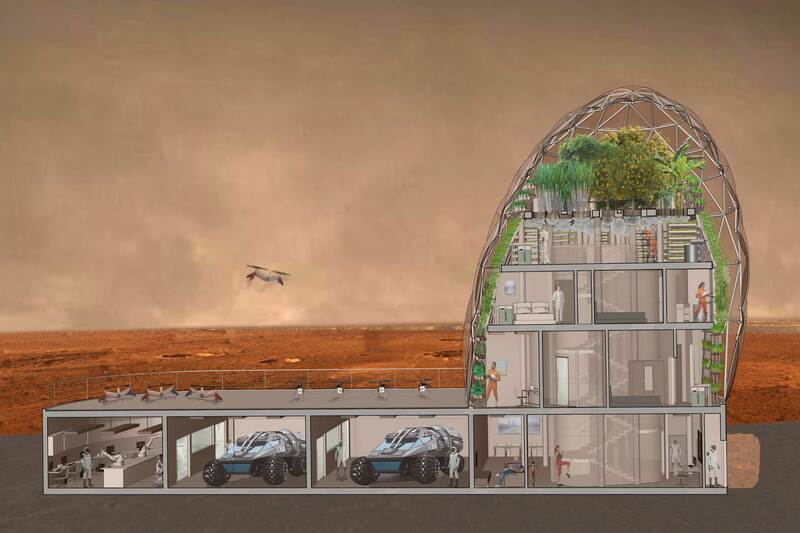 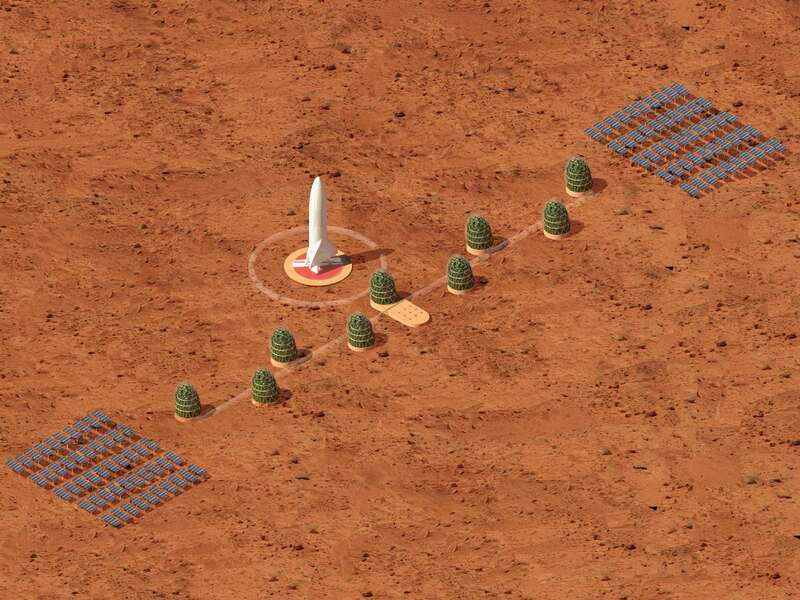 In collaboration with engineers at the ARUP Group, JBohn analyzed and maximized plant growth potential based on direct passive solar orientation of the EGH system in the context of the Valles Marineris on Mars.